At KNPS, educational opportunities do not end at the end of each private, one-on-one lesson. 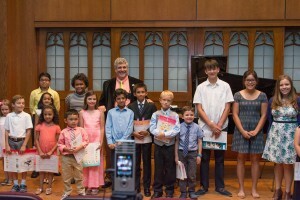 Students are afforded the chance to interact with nationally and internationally renowned figures in the world of classical music, psychology, and other music-related fields. Most activities are free of charge, while some require a nominal fee. -Field trips to the Tallahassee Symphony Orchestra and the Tallahassee Youth Symphony Orchestra concerts and rehearsals, as well as selected recitals. 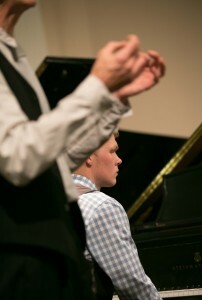 -Master classes with nationally renowned pianists. -Workshops with some of the nation’s best piano technicians. Learn about how a piano works, how to take care of one, and what you should be looking at when you are considering the purchase of a new instrument. -Meetings with world-renowned psychologists, covering topics such as what goes into becoming an expert in a field, and how to manage performance anxiety. For more information about these unique educational opportunities, please consult our calendar.